Tracy Lawrence has set November 10, 2017 as the release date for one of the most ambitious and significant albums of his career. 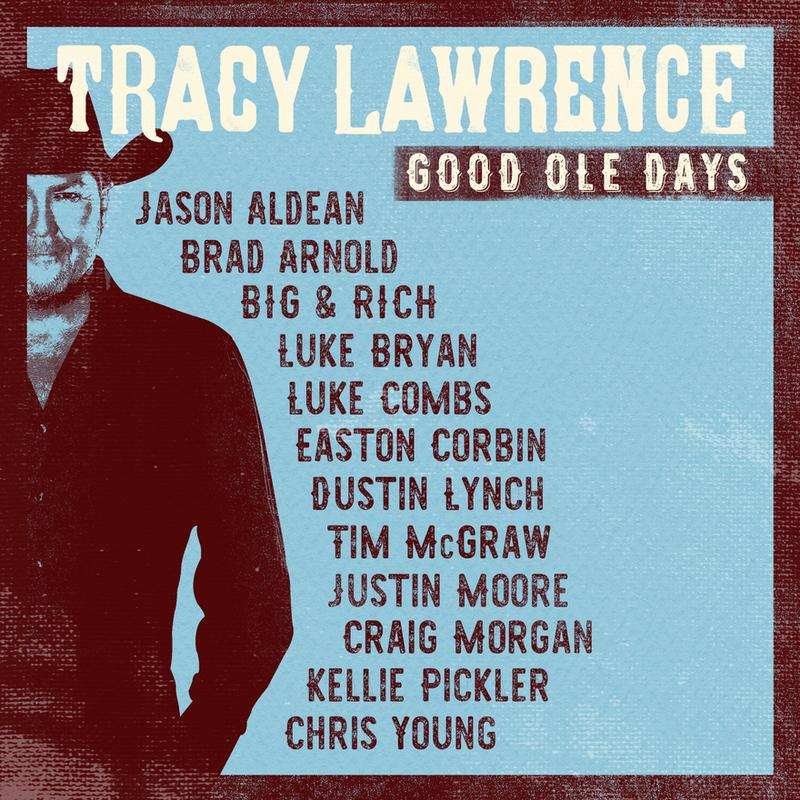 GOOD OLE DAYS celebrates the country legend’s indelible mark on country traditionalism with an album of 11 duets pairing a selection of his most iconic hits with some of Country and Rock’s contemporary superstars and newcomers. The collaborative collection also includes guest appearances by Jason Aldean, Big & Rich, Luke Bryan, Luke Combs, Easton Corbin, Dustin Lynch, Tim McGraw, Justin Moore, Kelli Pickler and Chris Young. 3 Doors Down leader Brad Arnold makes his Country music debut on the title track “Good Ole Days,” which is the second of the two original songs.